I’ve recently become aware of a strange phenomenon. It may be something that you’ve dealt with since so many people have already suggested to me that they’ve worked with someone like this. It was new to me, and honestly, it was really shocking. The gist of it is that I’ve encountered professional women who seem to actively mistreat and oppress other women. Okay, when I say it out loud, I feel naive for thinking that this was rare. I wonder how I have never encountered it before. The thing is, I probably have worked with someone like this and just never realized it. But I guess what’s really shocking to me is knowing someone in a position of power who very clearly pays men in their employ more than 25% more than women in similar positions. She acts as though the other women are all low-level secretaries no matter how much experience or education they have. She questions their abilities, disrespects them, and yet somehow enables some poor-performing men to get away with not only scandalous behavior but also tactless and lazy work habits. I don’t understand, and I don’t know what to do about it. It doesn’t affect me in my current position, but I feel like there has to be something that can be done—something I can say to a person encountering this. I don’t have advice, though. My best suggestion when working under a woman like this is to quit. The best revenge is massive success. That’s not good enough, though. There are some existing lists out there of how to deal with a boss who has “queen bee syndrome” and I imagine on a short-term basis they’d be helpful. As far as long-term goes, we need to create a culture of change. So how do we each commit to ending oppression of women in the workplace? Support organizations for women and girls. Thankfully, strong women have paved the way and done some of the most difficult trail-blazing into careers and positions traditionally dominated by men. There is still a lot of work to do, and some organizations are pooling efforts and coordinating resources to make it happen. Mentor other women. Many women get ahead in their careers through having a mentor or someone to helps encourage and support them. A friendly face in a difficult environment can be the difference between stagnating and flourishing. 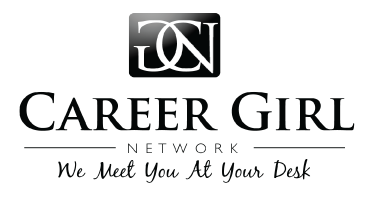 And just giving a little big of sage advice to someone looking to advance their career can increase their confidence and help them avoid common pitfalls in order to get ahead as a Career Girl. Speak out. If you are in any position to speak out against a woman treating another woman poorly, do it. Let women around you know that it’s not okay for them to mistreat others (anyone, but for the sake of discussion, specifically women). It’s not okay on any level, not to get ahead, not to assert authority—none of that. Don’t be afraid to stick up for what’s right. Sometimes just mentioning that you support career equality for women will help create a diverse and inclusive workplace culture that fosters growth for women. Don’t be friends with jerks. Whether it’s at work or in a social circle, don’t associate with women who oppress other women. There’s a reason that Tina Fey is the hero in Mean Girls. Coercion from peers and friends can be a powerful motivator for nasty women to change their ways. This may not be as practical as learning how to interview well or ask for a raise, but I’d argue it’s doubly important. If you haven’t thought about it before, take some time to consider this and see if there’s a way you can help create a female-friendly work environment.